Lean Six Sigma is inevitably around for the long run, however, learning how to enable people to sustain the results is the difficult part. Educating people to empower them is the only way performance measures will continue to sustain and productivity will increase. This speech will show how to empower people to make process focused decisions that will allow organizations to truly gain the benefits from process improvements. While continuous improvement techniques sound wonderful, the implementation of them rarely sustains without using people as the first and foremost tool. Without utilizing change management techniques along with Lean Six Sigma, companies will become less and less profitable and marketable. This speech will provide a blueprint on achieving sustainable results utilizing top management commitment to authorize people at all levels to make educated decisions. This will also serve as a guide to making organizations competitive and first class in their marketplace. This speech presents the application of Lean Six Sigma methodologies as a viable path for achieving the goals of sustainability. Through enabling people through Lean Six Sigma techniques, sustainable results are encountered while using process-focused decisions. The Lean Six Sigma tools available can make sustaining results easier. We will discuss the role of using the right set of tools from the right perspective—and demonstrate how to obtain a healthy balance of both. 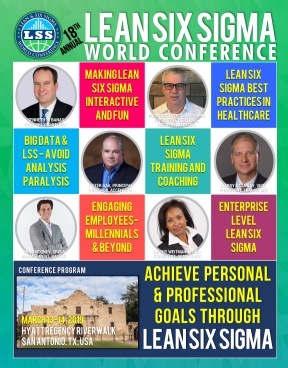 Authors Tina Agustiady and Mike Cobb recognized a need for better understanding of how to apply and integrate the people philosophy with Lean Six Sigma and its associated tools and techniques. In this speech, they build a framework of problem-solving methods and tools from a perspective that will allow you to understand the problems, develop process improvements, and develop a plan to implement change.